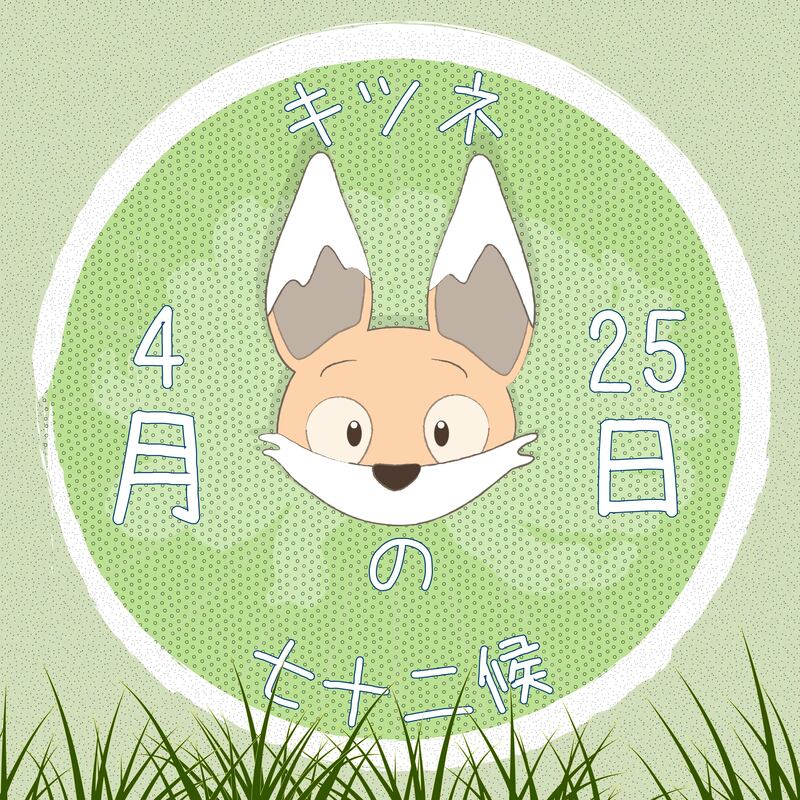 One day in late April, Kiku the little fox was studying the seasonal almanac given to him by Boss Panda, and wanted to check something with the old bear. 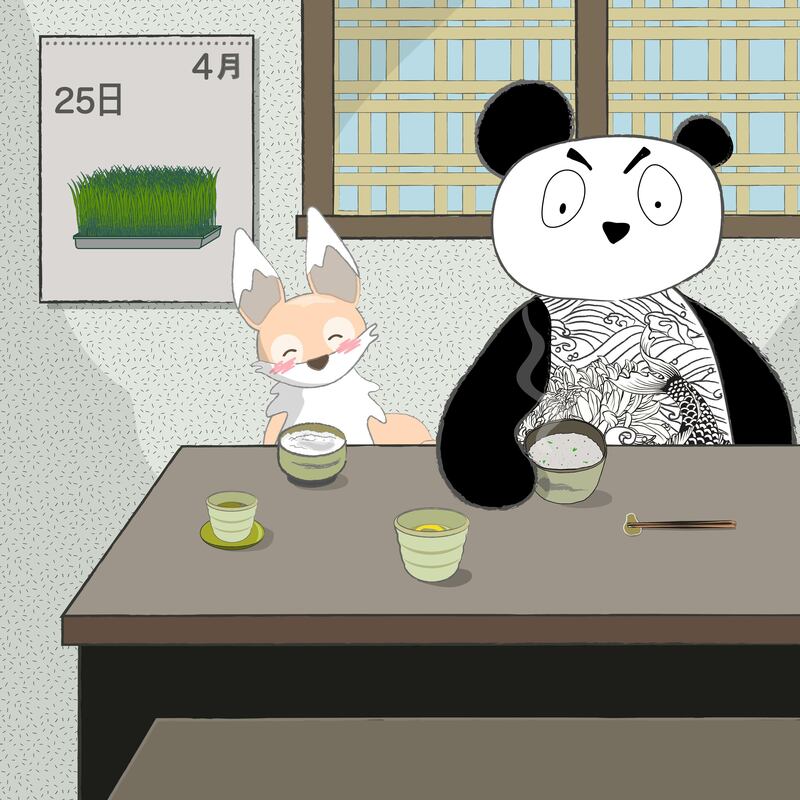 “It seems to say ‘frost ends, seedlings sprout’, but is it referring to a specific plant?’ Boss Panda stood up and beckoned to Kiku to follow him to the blackboard where they often studied. 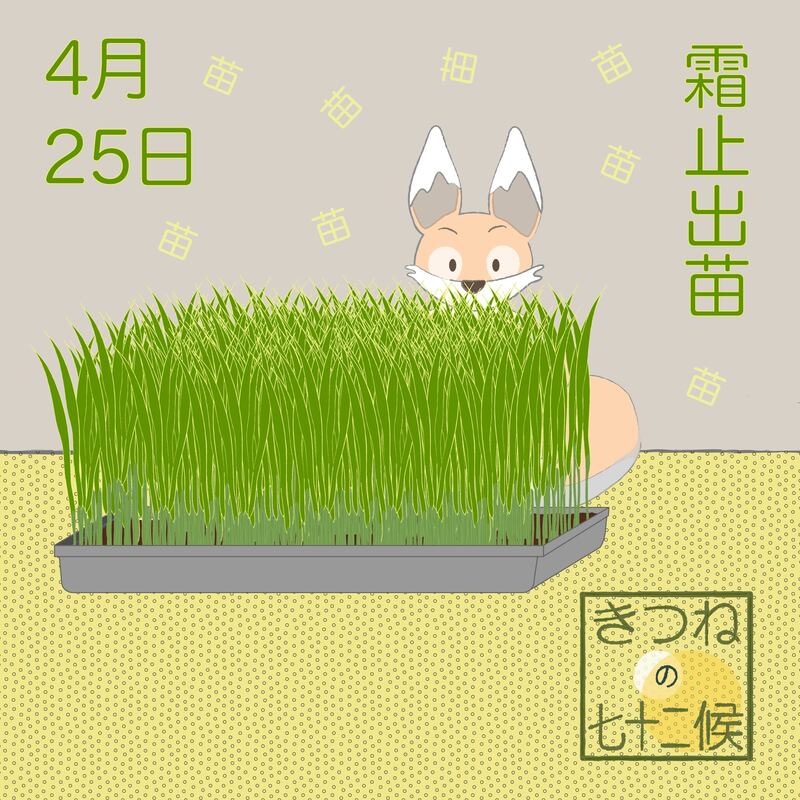 “It means probably the most important plant to the Japanese” said the panda, “the rice plant”. 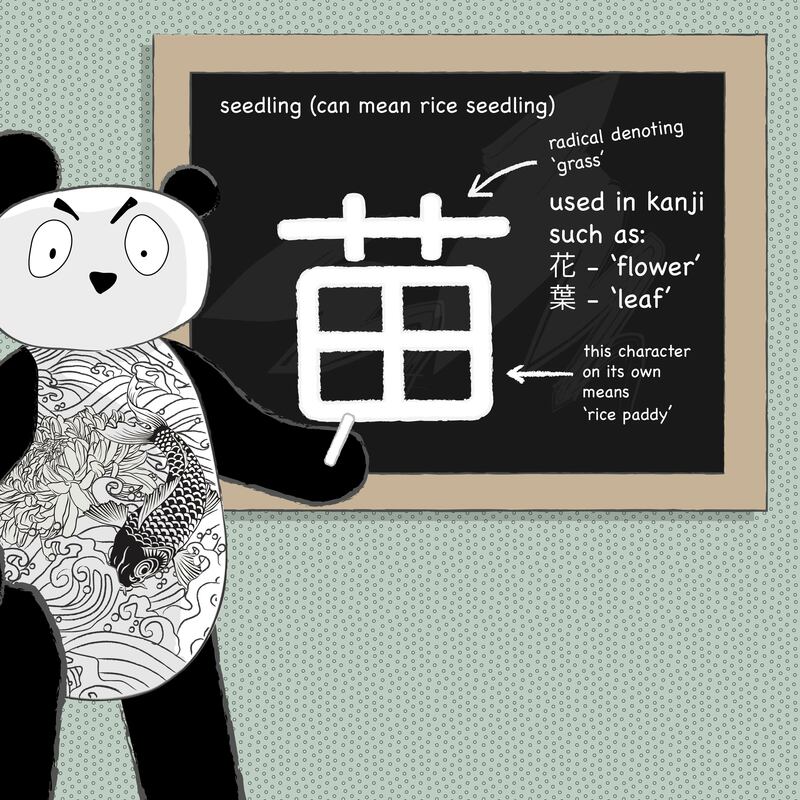 Boss Panda then drew the kanji for ‘seedling’ onto the blackboard to show him how the character was made up. After the little lesson, the pair made their way to the kitchen to have some hiru-gohan [昼ご飯] (midday meal, but literally meaning midday cooked rice), of steaming rice bowls!